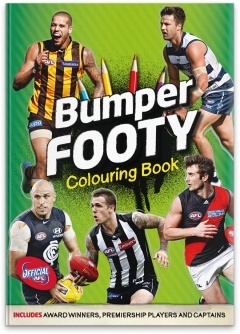 Children can learn all about their favourite teams and players with this fun activity book for young AFL fans. 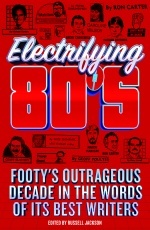 Featuring players from every AFL club, including the Gold Coast Suns and GWS, full-colour pictures depict some of footy's greatest names in all their match day glory. Each picture comes with a player profile, charting their key skills and strengths, past performances and vital statistics (date of birth, height, weight, position and the year they first played). 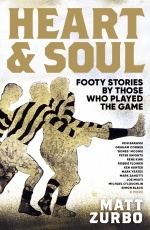 Profiles also include mention of all relevant awards and achievements (including Brownlow and Norm Smith Medals, Goal of the Year and All-Australian team member). Opposite each photograph is an outline of the image and team logo, giving kids an opportunity to grab their pencils and crayons and get creative. From the Adelaide Crows to the Western Bulldogs, all AFL teams are featured, players include Chris Judd, Gary Ablett, Dane Swan and Lance Franklin, and there is also a page dedicated to the all-important umpires. Callum Twomey has been a writer at The Slattery Media Group since 2009, working on the AFL Record and other football publications. 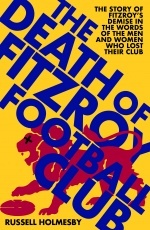 He was also the editor of the VFL/TAC Cup Record and is a writer for AFL.com.au.